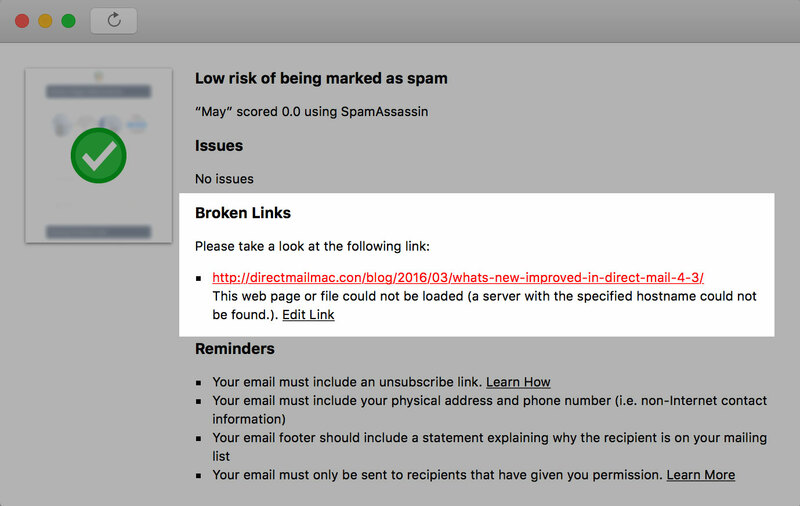 No one likes sending out an email campaign only to discover that the message contained a broken or incorrect link. Wouldn’t it be great if Direct Mail could alert you to these kinds of problems before you send? Luckily, Direct Mail includes just such a feature! Check out the “New Spam Test” option in the menu bar (or click the Spam Test icon in the toolbar). As part of the test, Direct Mail will take a look at each link in your message and let you know if there is a problem.